The Michigan Yoga Association strives to bring you programs that you ask for. Stress, as you may gather, is an ubiquitous health concern today. You are not alone, nor should you feel helpless. MYA offers programs with top-notch and nationally known yoga educators that are relevant, practical, and affordable. Through a recent survey YOU said your yoga community is vital and important to you and to the furthering of your Yoga Education. CEUs are provided. As members since 1978, Field and I urge you to attend this upcoming workshop, November 4-5, 2017 with Kathy Ornish, BS, MFA, E-RYT500, C-IAYT in Kalamazoo. Kathy Ornish (K.O. ), owner and director of Good Space Yoga in Lansing, MI, has had a lifelong relationship with yoga through her family’s close association with Swami Satchidananda, the founder of Integral Yoga. Kathy Ornish is a certified yoga therapist and teacher through the American Viniyoga Institute (AVI), where she is a faculty member for the Viniyoga Foundations Program for Teaching and Yoga Therapy. 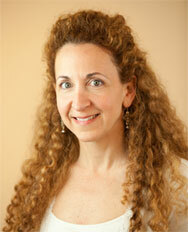 She is also a certified ParaYoga teacher, and a consultant at the Preventive Medicine Research Institute in California. K.O. deeply acknowledges her teachers, who have guided her on her journey in conveying the incredible vastness and beauty of Yoga. Using a broad array of the tools of yoga, you will find that her teaching incorporates a mindful approach to all aspects of the practice. Kathy invites you to incorporate these 5 powerful tools to calm you in the moment and to create long-term change and transformation in your life. Kathy’s first tool for anxiety is asymmetric asana, which keeps the mind focused and links movement with the breath. Pranayama is next—it shifts your physiology and collects the mind. The use of sankalpa, an affirmation or a resolution, is another favorite. Finally, Kathy explains viyoga and samyoga—separating yourself from what doesn’t serve you, and connecting yourself to something positive that does serve you to help you realize your true nature.